Population studies suggest that obesity is associated with migraine progression from episodic to chronic daily headaches. 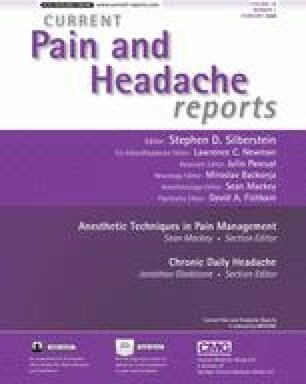 Although not a risk factor for episodic migraine, obesity is associated with frequent and severe headaches among migraineurs. We suggest that obesity is an exacerbating factor for migraine. This association seems to be specific to migraine and does not apply to tension-type headache. We review the clinical evidence that links obesity and migraine progression. We then review the potential pathophysiologic mechanisms to support this relationship. We close by briefly discussing clinical interventions related to obesity and migraine. National Health and Nutrition Examination Survey, 2004. Available at http://www.cdc.gov/nchs/nhanes.htm. Accessed April 01, 2007.